What Makes Eastern Creek Raceway Sydney’s Premier Karting Venue? 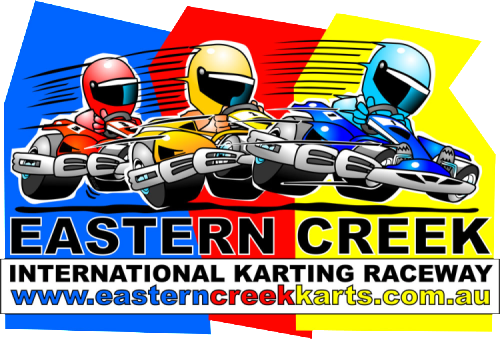 Here at Eastern Creek Karts we offer you the purest racing experience, in the fastest and best handling karts in Sydney. We are the only venue in Sydney to offer the SUPER FAST 13HP Sodi RT8 karts. These karts clearly set the benchmark in the rental mark, capable of achieving up to 100km/h these karts will give you an adrenaline rush. With the handling characteristics of a racecar, and being only an inch off the ground, you will feel like a true racecar driver. There’s only one choice when it comes to the best and fastest hire karts in Australia, and that’s here at Eastern Creek Raceway. From 16 years of age you can step into one of our super fast adult karts. The first of our adult karts is our 9hp karts, these provide you with the first taste of racing, with plenty of power and grip our 9hp karts will help you refine your driving skills, and ensure you’re ready to step up to the 13hp karts. Our 13hp Sodi RT8 karts set the benchmark for rental karting in Australia. These karts have heaps of power, capable of reaching speeds of up to 100km/h. They also have the handling characteristics of a racecar, with plenty of grip. Does your kid have a need for speed? Or do you simply want your child to experience the thrill of driving? Then we’ve got you covered. From the age of 8 years old your child can drive one of our CRG cadet karts by themselves. These honda powered karts are fast enough to provide your child with a racing experience, and we guarantee these are the fastest kids karts in Sydney. Once your child turns 12 they can step into one of our 6hp karts, with more power these karts are the next step up, and allow them to further refine their driving skills and prepare them for our 9hp karts. Is your child over 6 years old and ready to experience the thrill of racing? Or do you want to learn racing lines from a more experienced racer? We at Eastern Creek Karts have you covered, with two state-of-the-art Sodi 2drive twin karts. These karts allow the passenger to experience the thrill of kart racing, while still delivering a true racing experience to the driver. Do you want the most exhilarating and exciting corporate or team building event? Then look no further, Eastern Creek Raceway offers you the best corporate event ever. With our super fast karts and high grip track and tyres, our events are sure to keep your employees or clients talking about the event for weeks after, and we ensure that majority of those who come will return.